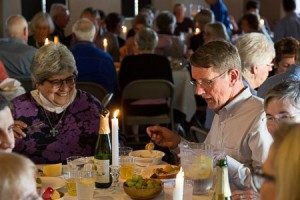 Please sign up for our traditional Foothills Maundy Thursday gathering, April 18 at 6 p.m. Many of us think this evening is one of the highlights of the church year at Foothills. It will take place in the Parish Hall with a light supper of bread, fruit and cheese. This will be followed with a short service, called “The Office of Tenebrae,” in which candles are gradually extinguished while bible passages telling of the last hours of Jesus’ life are read. Everyone is invited but we need to know who is coming. Use the signup sheet in the courtyard on Sunday, or send an email to info@foothills-church.org. Children are welcome and child care will be available during the service. We hope you will plan to attend. As you have read in the June Footnotes, we are now ready to take sign-ups our fun work day with family and friends. Don’t miss out! On June 9 we initiated our first church-wide on-line sign-ups. If you weren’t present that day, you will be able to go online to sign-up from home. And if the concept of signing up on the computer just doesn’t sound good we will have clipboards in the courtyard as well. (And your fourth option is always to call the church office!). So what is this Saturday of Service all about? It is an opportunity to join with others to help the environment and provide better lives for local animals and people who will benefit from our work. Pandemonium – A wild bird sanctuary in Los Altos Hills. We will clean and replace the substrata in the aviaries. Haven House – Temporary shelter and life skills to homeless families and adults. We will help in their community garden. Operation Care and Comfort – They send useful items and personal items to our troops in the armed services overseas. We will pack boxes to be shipped to the troops. Village Harvest – This agency coordinates volunteers harvesting fruits from trees in private homes to supply Second Harvest. Collective Roots – bringing fresh produce and healthy food options to low-income families. We will help in the gardening and other chores. Deer Hollow Farm – providing care for the animals and their living spaces. Parish Hall Activities – Many options from creating cards for shut-ins to making fleece blankets for animals at shelters to preparing packages for service members through Operation Care and Comfort. No one is too young, too old, or too limited to be of service. We are planning to design and order T-shirts for all of us to wear on this day. When you sign up you will be asked to indicate your shirt size. We hope it will help us recognize our own team members and will be a fond reminder of your day of service. The Youth and Young Adult Service Trip to Navajo Nation is July 13-21. We will serve the community on Black Mesa by doing building and repair projects and teaching in a children’s day camp. Tom Waugh, Deb Partain, John Miller, and Pastor Melanie will chaperone. There is still time for youth and young adults to sign up, but know that the program may fill up. 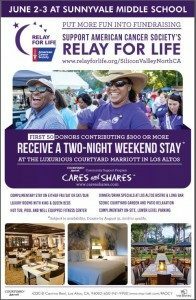 The Los Altos “Courtyard by Marriott” has made a very generous offer to help our Relay for Life team’s fundraising effort for the American Cancer Society. For the first 50 donors of $300 or more to our Relay for Life, they are offering a COMPLIMENTARY two-night weekend stay at their hotel! Plan this stay on the weekend of your choice through 2019. Major holidays are included. Consider having your own special weekend retreat right here in Los Altos, or inviting out-of-town guests or relatives to come visit and being able offer them lovely hotel accommodations. Click on the poster or contact me for more information. Friday, May 4: 9 am to 4 pm – best stuff! Saturday, May 5: 9 am to 2 pm – discounted prices! Bargain hunters and thrift-store aficionados are invited to enjoy shopping for thousands of high-quality, gently-used items at the annual Foothills Congregational Church Rummage Sale May 4-5. Sale hours are 9 a.m. to 4 p.m. Friday, May 4 and 9 a.m. to 2 p.m. Saturday, May 5. The church is located at 461 Orange Avenue, Los Altos (off Lincoln Park). Sale items include clothing, shoes, purses, jewelry, house wares, furniture, linens, craft supplies, and quality décor items, all at a fraction of buying new. “We have many members who are reorganizing or downsizing and need to divest themselves of their beautiful collections of a lifetime,” notes Jean Golden, church member. “We’re happy to contribute to our environmentally-conscious community by helping to recycle excellent used merchandise and give others a chance to purchase needed goods,” she says. More information: (650) 282-7718, or email info@foothills-church.org. 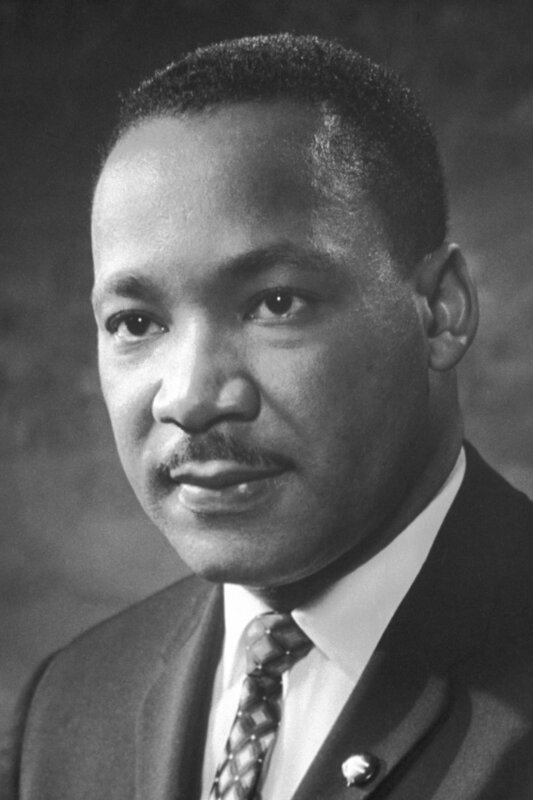 Musical Tribute to Martin Luther King, Sunday, Jan 21 at 2 p.m.
Foothills Congregational Church’s Ensemble, adult and bell choirs and the Cantabile Youth Singers of Silicon Valley are scheduled to perform a musical and spoken-word tribute to the work of Martin Luther King Jr., “Driving Out the Darkness,” 2 p.m. Jan. 21 in the Foothills sanctuary, 461 Orange Ave., Los Altos. Admission is free and open to all. A potluck reception with the artists will follow the concert in the Parish Hall. For more information, call 948-8430 or visit foothills-church.org. 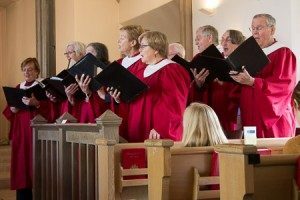 THANKSGIVING DAY SERVICE AT 10 A.M. ON NOVEMBER 23RD. This is one of the highlights of our church year as we celebrate our Congregational heritage from the time of the Pilgrims. We will gather for the service in the Sanctuary, and then adjourn to the courtyard for social time around the harvest table. As you are able, please bring finger food to the courtyard and also drop some non-perishable food in the “little church” for a donation to the Community Services Agency. This will be a joint service with the Sunnyvale UCC congregation. Special guest preacher: Pastor Ron Buford. The FCC Jazz Service is shaped around Old Testament themes common in African-American spirituals (the Exodus, the Suffering Servant, and God as Creator). Each theme is briefly introduced, then illustrated through music or reading from the poetry of James Weldon Johnson. You are invited to attend this special service and enjoy the music from a Dixieland Jazz combo featuring Peter Spitzer, saxophonist and clarinetist, Martin Thoolen, bassist. Kristin Burns and Fred Cummins, piano.